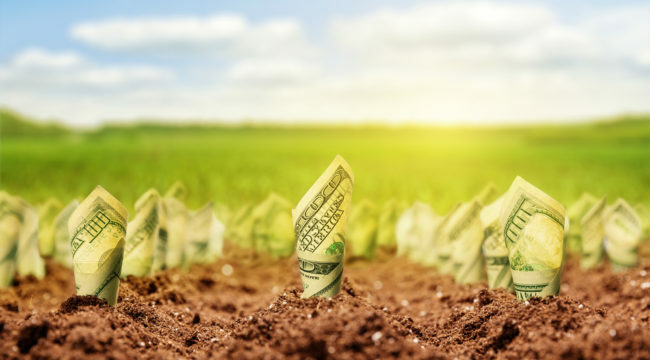 It illustrates the two key factors that go into a successful investment. Together, they’re the surest way I know to score life-changing wins. And they apply to just about any asset, regardless of what the economy is doing. I was in New York City recently having breakfast with Ken, a longtime reader and friend. Ken is a sharp-tongued New Yorker who tells you exactly what he thinks, good and bad. He runs a small hedge fund in Connecticut. And made a lot of money in the 1980s and 90s riding stocks like Home Depot and Wal-Mart. In 1999, Ken bought an acrylic painting by Ed Ruscha (Sunset to Pico) for $150,000. His wife thought he was nuts. She pointed out that they could have bought a few nice cars with that money. Nonetheless, Ken was fond of the painting. Sunset to Pico shows nine parallel lines running diagonally across the canvas, as if seen from a bird’s-eye view. Below each line is an upside down street name – the nine most recognizable east-west thoroughfares in Los Angeles. Ken hung it in his home and mostly forgot about it. He simply enjoyed having the piece. Fast forward to 2015. He’s older now. He’s thinking he might sell some art and pay off his mortgage. He knows the value of the Ruscha painting has gone up over time, but he has no idea how much. He gets Sotheby’s to appraise it. They say they can sell it for $1 million to $1.5 million. At the high end of that range, it’s a ten-bagger… Remember, he paid $150,000. So Ken decides to put it up for auction. He puts a reserve on it of $850,000. Meaning, he won’t sell it for less than that. Bidding starts at $500,000. On the day of the auction, Ken arrives with his wife and daughter. It’s a big event with high expectations… like having a horse in the Kentucky Derby. They settle in and the bidding starts. It doesn’t take long for the bidding to hit $850,000. But the bidding keeps climbing higher… and higher. 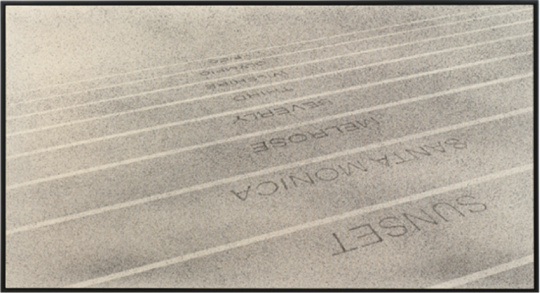 When the gavel finally falls, Ken sells his Ruscha for $2.3 million. I’m not advocating that you buy art. I’m always amused when I hear some financial “guru” warn about stocks, and tell you to buy art instead. What they don’t seem to get is that art prices are highly correlated to stocks. When we are in bubbly stock markets, we also tend to see bubbly prices for art and collectibles. Conversely, the bids for both stocks and art disappear in times of despair – like 2008. Don’t believe that owning art makes you diversified. But I do recommend buying a great asset and forgetting about it. Do you think Ken would’ve been able to hold on to that art piece if he had the price of the painting blinking on his computer screen every day for 16 years? There would’ve been times when it soared. There would’ve been times when the price dived. There would’ve been long stretches where it did nothing, or maybe drifted lower. He might’ve sold it out of boredom to get something that seemed to be moving. If it were a stock, he might’ve sold it after it doubled. Those blinking prices on your computer screen are like little siren calls to action. This is why I tell people not to watch stock prices. Otherwise, you’ll surely get scared out of even the best stocks. I did a study of all the stocks that returned 100-to-1 from 1962 to 2014. The ups and downs of these stocks are incredible. From the time it went public in 1980 through 2012, Apple was a 225-bagger. A $10,000 investment in turned into $2.25 million. But you had to suffer through two 80% declines and several 40%-plus drops. Netflix was a 60-bagger from 2002 to 2014. Yet it lost 25% of its value in a single day on four different occasions. There was also a four-month stretch where it fell 80%. Warren Buffett’s Berkshire Hathaway has earned a compounded annual return of 20.8% over the past 42 years. But if you bought it in 1997, for example, you had to sit with it for five years before you saw any positive return on the stock. Odds are — if you’re watching stock prices and not paying attention to the business — you’ll probably dump it for something more exciting. To enjoy really big, life-altering gains in the stock market, you have to learn to sit on your hands. You have to learn that stock prices can diverge wildly from underlying business values. Ken has a filter he uses before he buys any art for investment. First, he only buys when there is already a market for the artist’s work. Second, he only buys artists who’ve had their work on display at the Museum of Modern Art in New York City. And finally, he only buys art that has been sold at Sotheby’s. These are quality filters. They help screen out stuff that could go to zero or lose huge chunks of value. Still, there are no guarantees in art… or stocks. In the stock market, there are a number of quality filters you can use. I recently finished a book called Quality Investing: Owning the Best Companies for the Long Term (2016) by Lawrence Cunningham, Torkell Eide, and Patrick Hargreaves. The latter two are portfolio managers at AKO Capital, a London-based investment partnership. It has delivered double the market’s return since its inception in 2005. Predictable cash flow generation: You want to own a business that generates a lot of cash. Companies like Apple and Berkshire Hathaway generate a lot of cash. Mining companies generally don’t. Sustainably high returns on capital: You want a business that earns a high return on the money invested in it. If you put $100 in a business and it generates a profit of $15, that’s a great 15% return on capital. Attractive growth opportunities: This is what propels value over the long term. Imagine owning McDonald’s when it had only 300 stores. Or imagine owning a cellphone company when cellphones were only 5% of the market. You want to see that the business can be a lot bigger in the years ahead. The book goes into quality in much more detail. But the key takeaway is this: You can’t hold junk for the long term and expect great results. Buy the best assets. The two things that drive long-term success as an investor — in stocks or art or probably anything — are time and quality. You need to give your ideas time to work. And you need to own high-quality assets. If you do that, there’s no need to worry about the crazy ups and downs of the markets… or what the Fed is doing… or the state of the economy. You’ll be like Ken, holding on to his painting all those years. And one day, with a little luck, you’ll discover you have a fortune.